I’m delighted that C H Cleppitt has joined me for a festive sherry and a mince pie this Christmas Eve. C H’s brilliant, hilarious novella I Wore Heels to the Apocalypse is FREE this Christmas. What a wonderful gift! 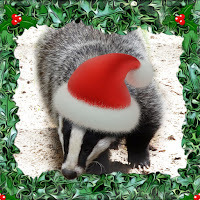 So, tell me…erm, is it safe for badgers to eat mince pies—oh, never mind. Deb: Do you have any writing quirks? C H: I don't know that I have any quirks. In terms of writing I just have to sit down and do it when the mood takes me, which isn't always. Working collaboratively is good because there's always someone pushing you forward. My stories are very character driven, so I spend a lot of time just getting to know the characters, then I let them run wild and see where they take me. Usually it's all sorts of strange places! Deb: Jaffa cakes: cakes or biscuits? C H: Biscuits! I am particularly fond of a ginger nut... Jaffa Cakes are a weird hybrid creature that is not quite a biscuit and not quite a cake, far too confusing on the palate! 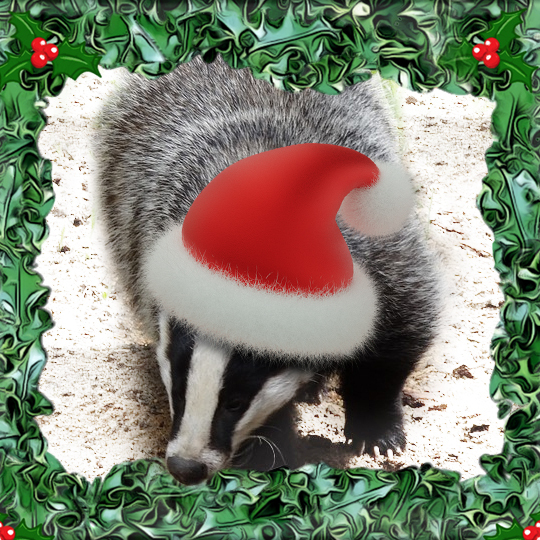 Deb: Who is your favourite badger? Deb: Tell us the funniest joke you know. C H: Joke?! Eeek... erm... no... I have failed on this question. Deb: How many stories have you published and where can we find them? C H: I have published 13 stories (how unlucky, better get to work on number 14) which can all be found on Amazon. I have also some free shorts available on Newsnibbles, and have a collaboration with Fantasy author Samuel Z Jones which will soon be released in a quarterly magazine. There are some sample stories from that available to read free on Patreon. Deb: What will you be doing in the apocalypse? C H: Not worrying about what anyone thinks of me, and doing whatever the hell I want! One thing's for damn sure. I will NOT be wearing heels. Is anyone truly prepared for the apocalypse? This story made me laugh out loud quite a few times (a lot, actually, but you look bonkers laughing to yourself). The main character is nowhere near as hopeless as she thinks - her humility is one of her many strengths. It's a fun story, and the characters are all endearing in their own bizarre way. Even more awesome(r), there's a sequel! 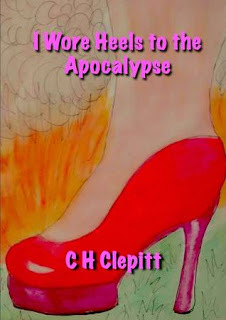 Everything is Better With a Cape: The Second Part to I Wore Heels to the Apocalypse. Author, publisher, social scientist. My academic specialism is gender and sexual politics and identity, so you can expect this to crop up now and then in my writing too! Not in an "in your face" kind of way - subtlety wins hearts and minds. I write character-based/driven fiction - mostly general/contemporary, some romance and a bit of sci-fi fantasy (light). Basically, I write about life. I've written a few stand alone novels and short stories, but my main work is the Hiding Behind The Couch series, which these days I'm referring to as a literary soap opera. I also run a socialist (profit share) independent publishing company: Beaten Track Publishing. Sock Advent Calendar - Christmas Eve!!!! To Be Sure - Out Now!